PBXMate for Call Centers is part of the noise firewall solution. It removes ambient noise and improves customer experience. It is using advanced algorithms to correlate in real-time the audio of multiple calls, identify the location of the noise and remove it from the calls. It cancels any type of noise including voices of agents in the background and shouting of the supervisor. PBXMate for call centers is a software product and does not require any physical change to the call center floor. Using advanced machine learning algorithms, PBXMate for Call Centers builds a real-time noise-map of the call center floor. 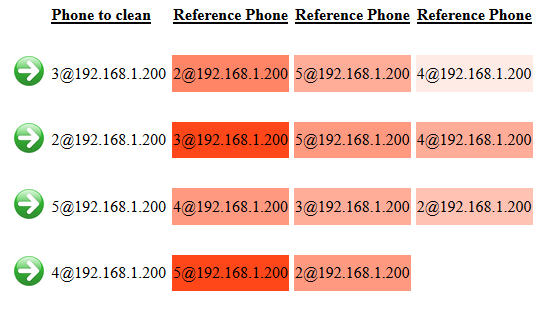 • Cross correlation of multiple phone calls. 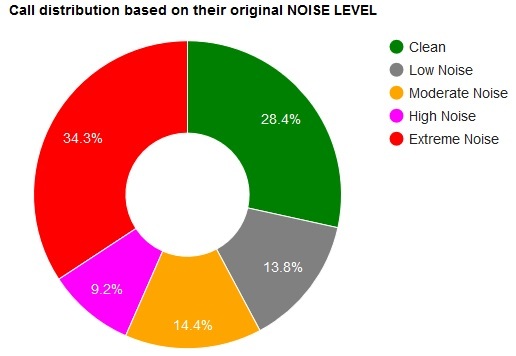 • Machine learning of the call center noise map. • Special treatment for the supervisor station in order to learn the noise coming from this area and cancel this noise from the rest of the calls. • Ability to dynamically identify the extensions. PBXMate displays real-time statistics on calls in progress and aggregated statistics on all the calls that were processed. Some of the information, like the noise-map, is based on machine learning logic. You can use this information to value the improvement provided by PBXMate and also to gain control and insight on call quality factors in your contact center. • Improve customer experience. Shield your customers from ambient noise in your call center such as agents talking with other customers, announcements on the PA etc. • Prevent leakage of private data. Protect private data from being overheard by your customers which corresponds with regulations such as PCI, FedRAMP and HIPAA. • Increase productivity. Solve audio quality issues that disturb your CSRs such as low audio volume and noise coming from customer side. • Improve the accuracy of transcription and analytic in noisy call centers. • Reduce cost. Exceed the quality of any other solution, such as high-end headset, at a lower cost and lower effort. • Enable ongoing monitoring and improvement using the on-line quality monitoring tools and the visual noise-map of your call center. • Enhance the archive. Improve the quality of the stored recordings. Who is using PBXMate for Call Centers ? PBXMate is used world-wide by many call centers. For example it is used by dozens of call centers of the U.S. Air Force, dozens of call centers in Asia Pacific and BPOs world-wide. Contact us to discuss your requirements and we will be happy to share our experience, best practice, relevant case studies and an evaluation version.